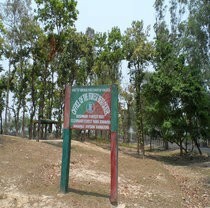 Situated amidst the calming greenery typically of the terrain is Kushmandi in Dakshin Dinajpur district. 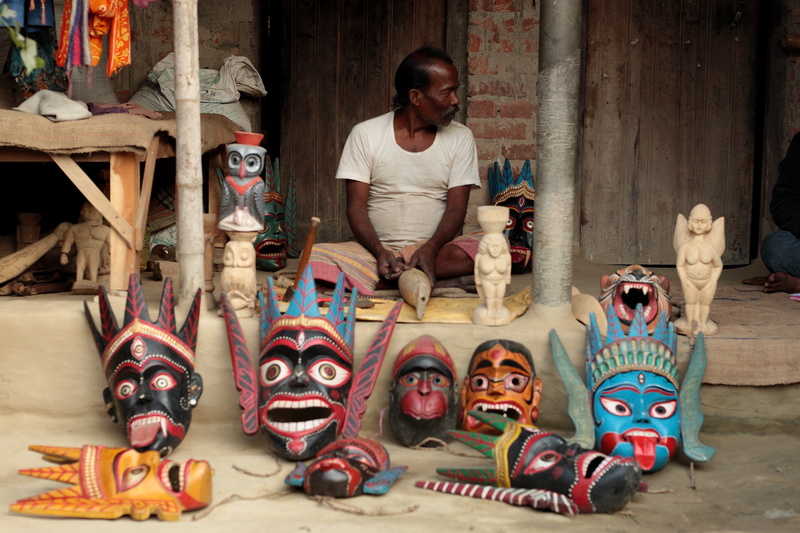 It is the home of about 250 artists carrying forward the tradition of ecstatic wooden mask making of the Rajbongshi community. The masks make part of the costume of the traditional Gomira dance. It is performed to propitiate the deity, usher in the 'good forces' and drive out the 'evil forces'. Themes of the masks are usually spiritual, historic and religious. Government of West Bengal's Department of Micro, Small and Medium Enterprises & Textiles, in association with UNESCO, has developed Rural Craft Hub at Kushmandi. 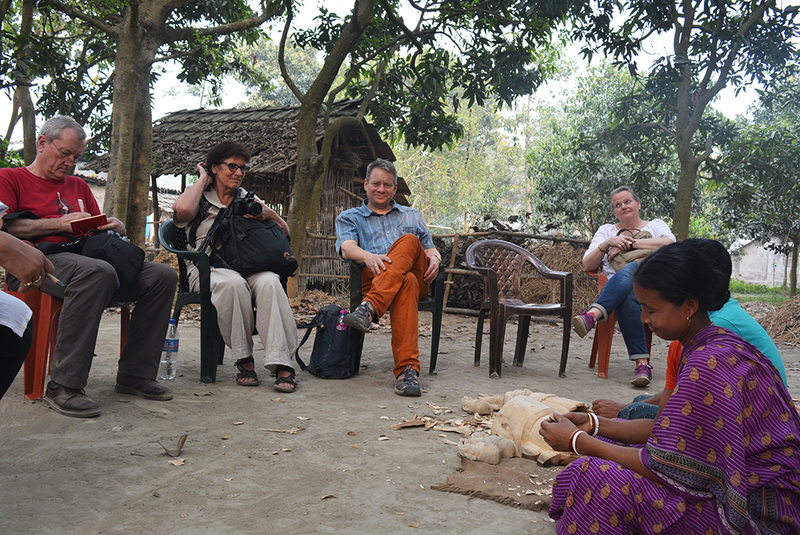 The artists' collective runs a Folk Art Centre which is also equipped with accommodation facility for guests. 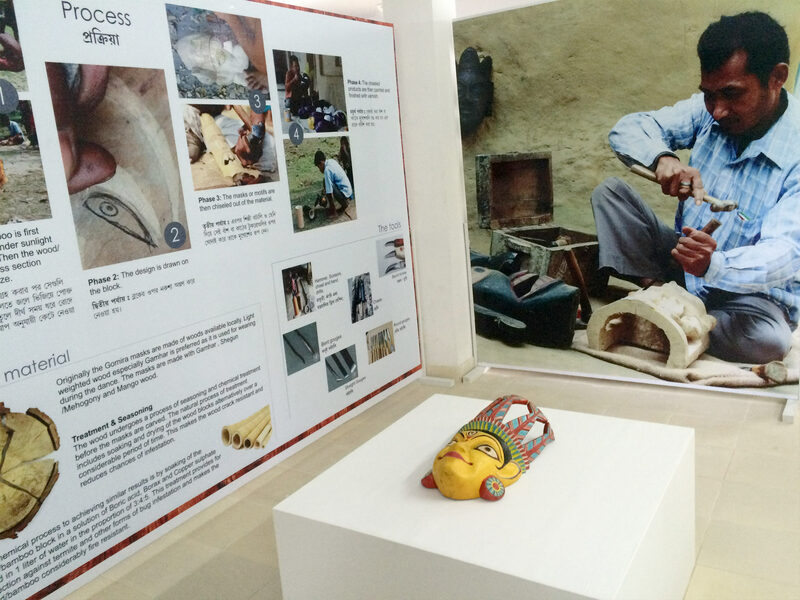 One can participate in workshops, learn about the history of the community and craft, nuances of the mask making and the fascinating associated stories. Nearest railway station is Kaliagunj. 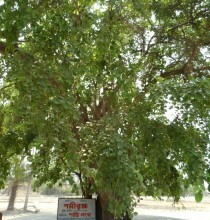 Kushmandi, Mahishbathan is 17 km from Kaliagunj. 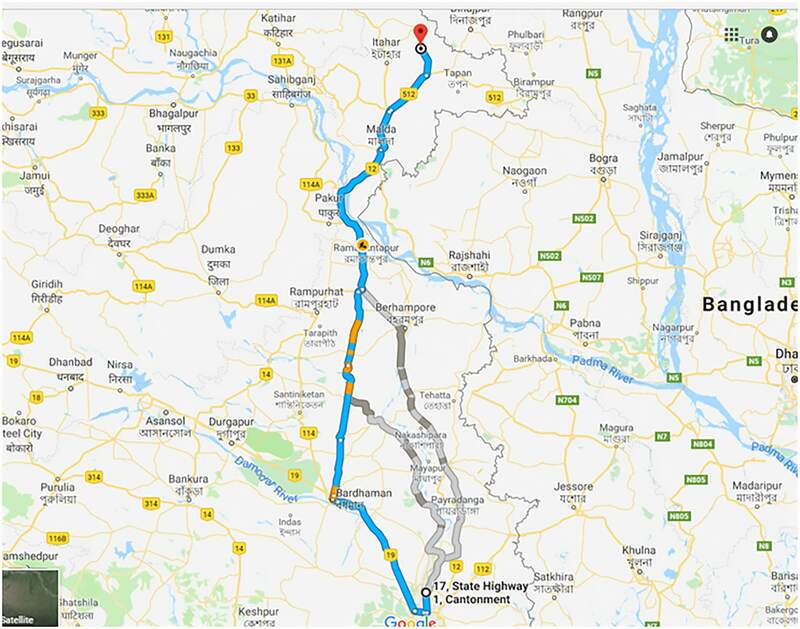 Other option: Reach Kushmandi by road via Malda. 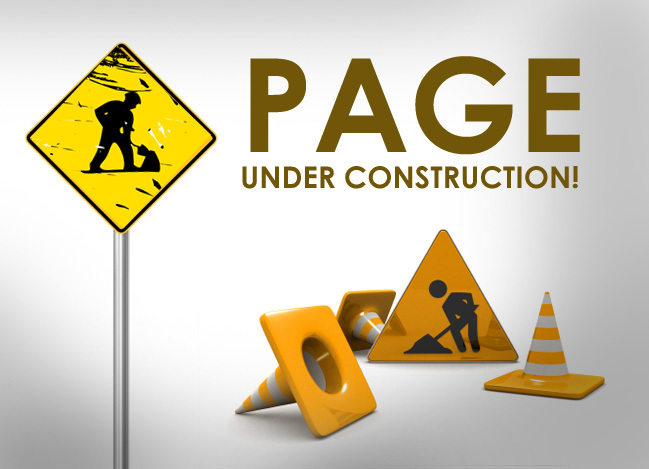 It will take 2 hours. One can enjoy stay at the Folk Art Centre with well furnished lodging facilities along with basic amenities that are available for the guests. 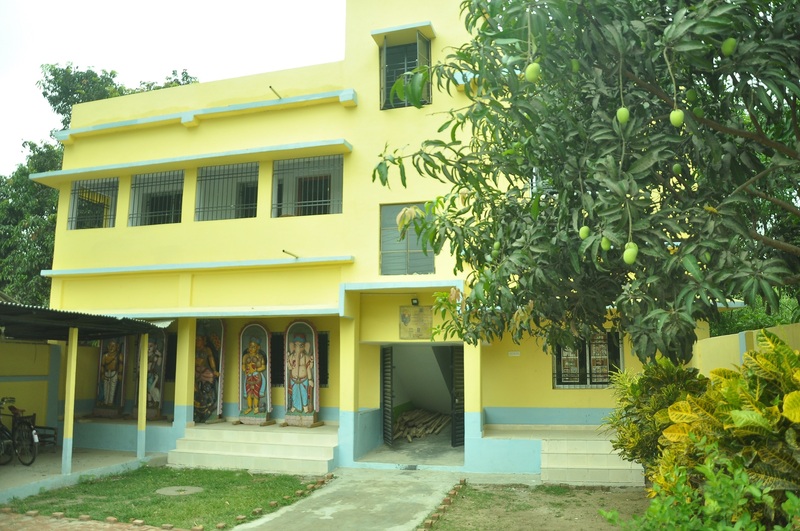 There are lodges at Kaliaganj too. 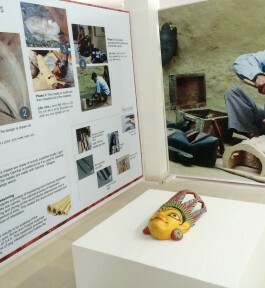 The Hub has a three storied building where guests can visit, observe the craftsmen at work and can also see the artifacts displayed. 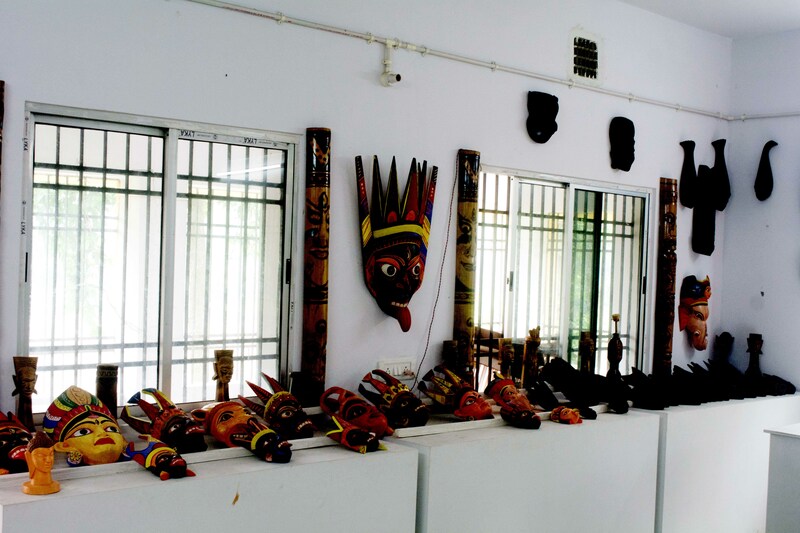 One can explore the Folk Art Centre to marvel at the craftsmanship and even participate in workshops to learn the craft and its history and associated stories. Various workshops and training sessions are held here from time to time. The wooden masks are traditionally objects of worship and devotion. The craft of Gomira mask making, in its pristine form, catered to the needs of the Gomira dancers and any villager wishing to give a mask as an offering to the village deity. 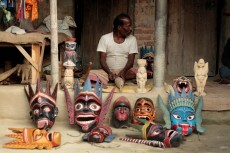 The ecstatic Gomira dance masks of Dinajpur district have ensued from animistic practices of the Desi and Poli communities of the Rajbongshis. The Gomira dances or Mukha Khel are organized to propitiate the deity to usher in the ‘good forces’ and drive out the ‘evil force’ during harvesting season. Traditionally, the Gomira dance starts with the entry of two characters Bura-Buri, who are the human representation of Shiva and Parvati. Apart from the ritualistic purpose this dance performance is also a source of joy and gaiety for the villagers. The masks started their journey from the village dance performances to the urban drawing room and with time became delectable pieces of art. The community of artists of Kushmandi will celebrate their 3 day annual village fair known as Mukha Mela on November 8 - 10, 2019. 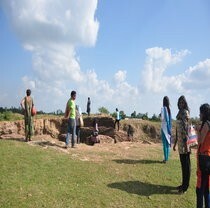 The festival also brings an opportunity to witness other folk traditions of Bengal in addition to Mukha and Khon.